Accessed from the N-122, from Soria to Zaragoza, just past the village of Matalebreras have to take on the right road to olvega to turn left, about 2km along the road indicating Wall . The location of the Roman city of Augustobriga, cited as a mansion on the Roman road, number XXVII Antonine Itinerary was concretized, by the mid-nineteenth century, Eduardo Saavedra, relating to important archaeological remains of the town of Wall, relying on the fixed distances between houses and the milestone information found in their vicinity (Pozalmuro, Matalebreras and agreda). 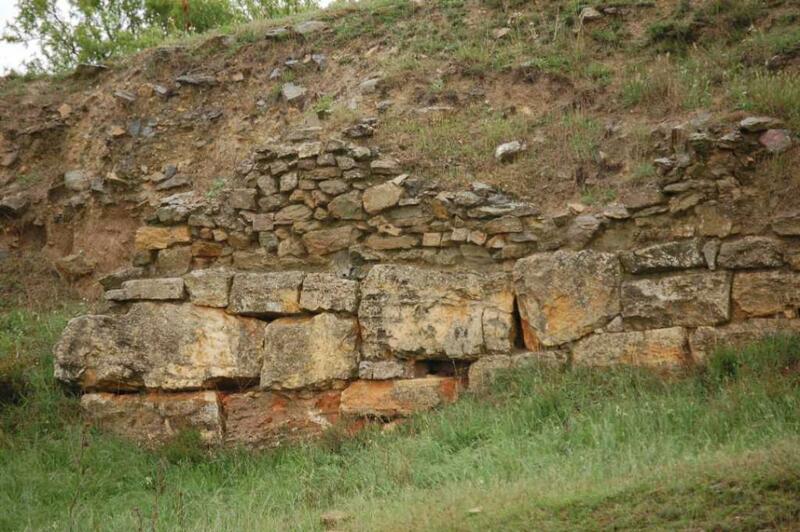 More recent work has become apparent in recent years, the existence of older materials which could be attributed to an Augustan foundation city considered as Augustobriga. Already M.V. Carnicero Romero drew attention to the possibility that Wall had an older kernel referring to component-briga "in its name and the presence of old materials (ceramics and coins Campanians Roman Iberian). 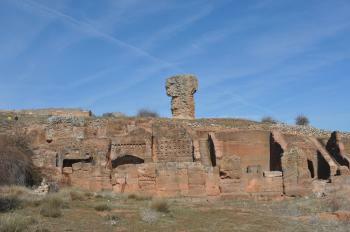 The wording of the Special Plan for Wall, in the late nineties, led to the realization by the company Archetype, a survey, documenting a wide occupancy in the second century BC by the discovery of ceramic Campanians (similar to those found in Numancia camps, of the second century BC), which was related to the establishment of a fortified Roman camp to support the war against the Celts. 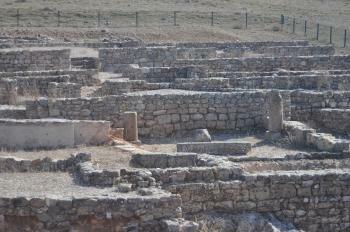 It was thought that this property would evolve over time into an urban settlement, as Augustobriga. The city of "AreKoraTa"is not mentioned in classical sources, but there are frequent references to it in the texts we know celtiberica language, so the bronze Luzaga refers to its inhabitants, "ArekoraTikuBos", and began his hospitality tesserae text "AreKoraTika: Kar", or tesserae Arecorata city. 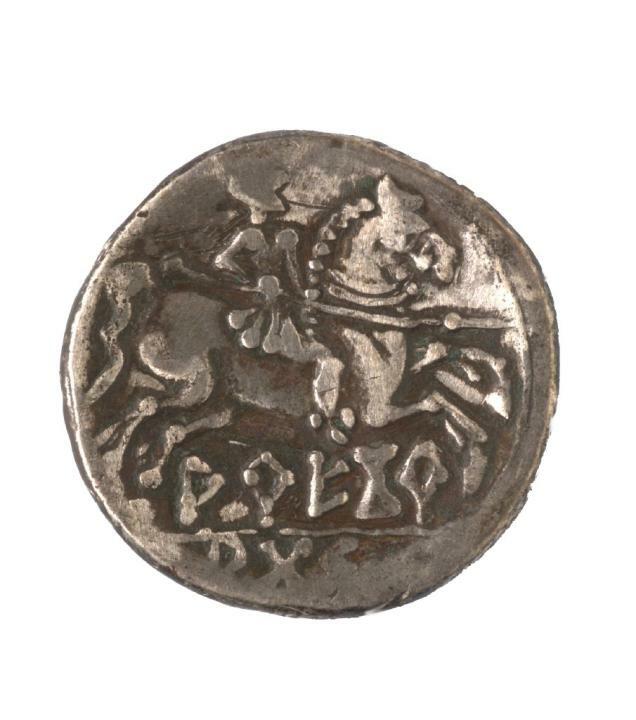 The city minted coins with the legends and can Areicoraticos important parallels their emissions with those of "SeKeiza (Segeda in Pueyo de Mara, Zaragoza). Two cities, which are cited in the first half of the second century BC and become the first two Celtiberian mints that mint. Highlights its complex set monetal (minted in silver denarii and bronze, the entire series on coins known dividers Celtiberian: aces, semis, Trinta quadrants), and prolongs its emission at least until the late second century and early century BC Pence in the rate used is the rider spear, while the aces sometimes the rider appears to hook (in the oldest), then with palm and spear (the latest), as a curious case is coined to semis a rooster. The signs used are "Arecorataz or Areicoraticos" that are abbreviated in small parts. 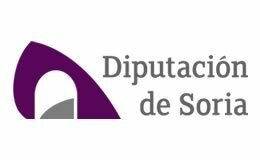 In some obverse shows the syllable "sos" Iberian characters. 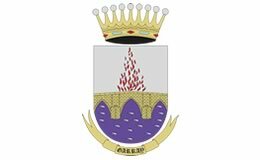 This city offers a picture of emission parallel to "SeKeiza (Segeda in Poyo de Mara, Zaragoza). 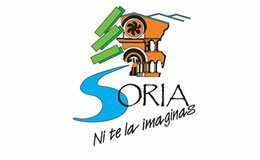 Some coins of "AreKoraTa" as of "SeKeiza"have appeared in the camps Numancia, thus confirming its chronology. We can assume that disappeared during the first century BC. After Contrebia Belaisca, is the city that most times, appears to be linked with Celtic-Iberian language texts. This tessera hospitalis shaped animal head and is made of bronze. According Patrizia Bernardo, ToUTiKA in this context is not proper name but common name and, in particular, is an abstract noun with the meaning of 'citizenship '. So who carried the tesserae would have the same status of any citizen "Arekorata"
It is possible that the village of Wall is named in the Middle Ages visible reference of the "wall", ie the walls of the ancient city Augustobriga Celtiberian-Roman, referring to Augustus and the termination celtiberica-briga (fortified town or city), ie "City of Augustus. " 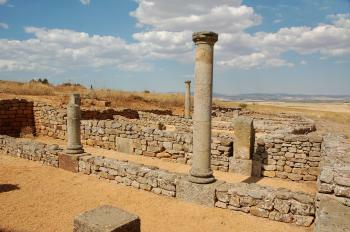 This city shows its importance to be mentioned by Ptolemy among pelendones and then as one of the houses by the road passing the Antonine Itinerary XXVII, which was heading from Caesaraugusta (Zaragoza) to Arthurian (Astorga). The last quote about the city for the Anonymous of Ravenna, which is dated in the seventh century. 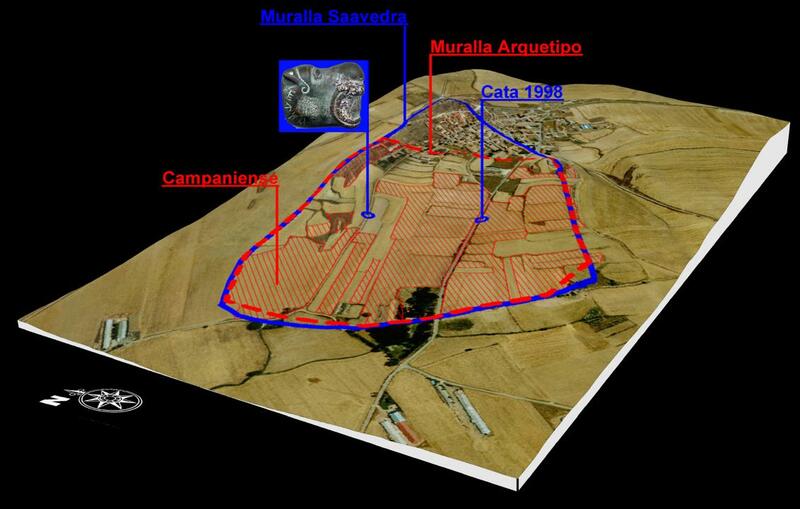 E. Saavedra identified the city with the archaeological remains of the Wall in the mid-nineteenth century, by studying the section of road XXVII, between Augustobriga and Uxama (Osma, Soria), based on information from the stones milliarias (especially found in Pozalmuro, Matalebreras and agreda) and distance to or from Augutobriga indicating both direction Numancia, as Turiaso (Tarazona) ..
Saavedra described the existence of large pieces of wall twelve feet thick, which still retains its foundation, or a few rows of the canvas, and apparently takes its name from the village. This author would draw a perimeter, a trapezoidal shape, of 3.077m, of which retains more or less visible 1.904m in different portions, is generally 3.50 m thick and the blocks are 0.80, 1 or 1.50 m long and 0.50 from high in the walls, and is filled with tiny materials. Post a picture of a part of their factory with padded blocks, establishing its origin and foundation of Augustus and, more specifically, support camp for the Cantabrian Wars, on the route between the valley of the Ebro and the Plateau. The area within the city walls was about 49 hectares and within the walled enclosure found handmills Celtiberian circular type, some of great size, a stack of sandstone sink two compartments, which was used in the smithy; a mosaic of geometric design of thick black and white tiles and thousands of coins, some indigenous and majority Republican and Imperial, corresponding to the time between Tiberius and Hadrian. In 1933 he was near to the source, known as Roman, a cast bronze male figurine, 11 cm long, lionheaded, naked and with hands in prayer, perhaps served as an instrument handle that appears to be related to Mithraic cult. It is preserved in the Museum Numantino. His necropolis was situated next to the fountain on the west side, consisting of burial burial with the head oriented toward the West and formed by stone slabs. There were several funerary inscriptions located at a place called La Pala, one dedicated to Ammon hair and nails and other Cayo Atto. The Roman road to Caesaraugusta Asturica, playing the two sources of modern town, crosses the ruins. In 1895 he met the milestone of Tiberius (year 33) which can be seen in the garden of the Museum Numantino and marking the distance of miles between Augustobriga XXII and Turiaso (Tara), and the funerary inscription dedicated Atta Cayo Cecilio, Colis son, who died in Calahorra. The Friends of Wall has undertaken to promote knowledge and disseminate historical legacy through the construction of an Interpretation Centre which sets out, with a didactic approach, the knowledge that exists about these cities. 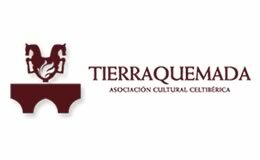 Has been done in the old schools, located in the plaza, this interpretation center Arekorataz / Augustobriga, reconstructing the history of these cities and lifestyles Celtiberian-Roman world. It occupies two floors with videos, models, panels, reconstructions and interactive elements. 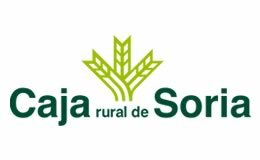 This center has been driven by the Friends of Wall counting on financial support and the City Council PROYNERSO olvega. 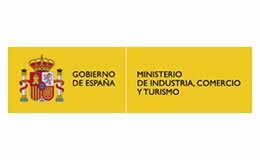 This Center will serve to collect and promote research and awareness of this important city of antiquity, which is equated as a mansion at Numancia and Uxama. 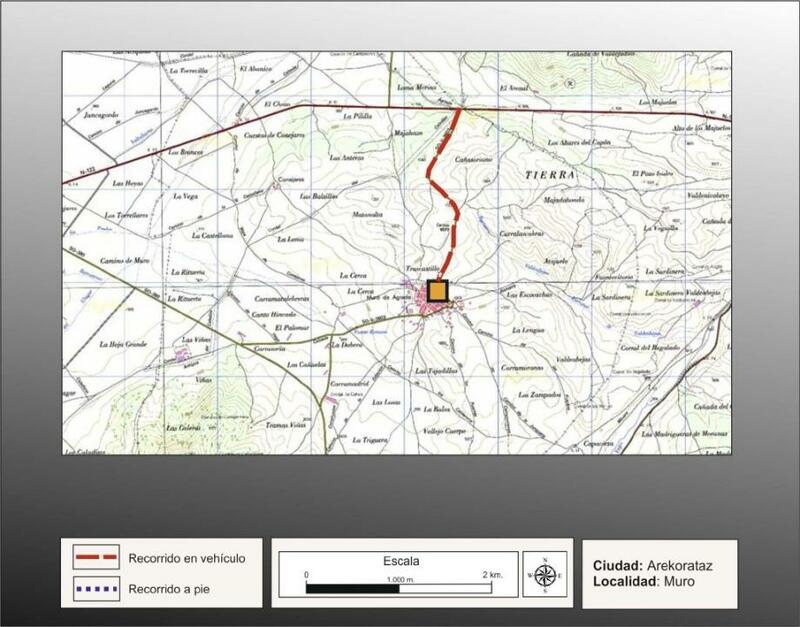 The Association of Friends of the Wall in collaboration with all people through which the Roman road XXVII number Antonine Itinerary between Augustobriga and Numancia, a march organized since 2005 in mid-August which lasts two days, which is Numantobriga called, with which it aims to revitalize and restore the old road as an element of unity and respect among peoples.